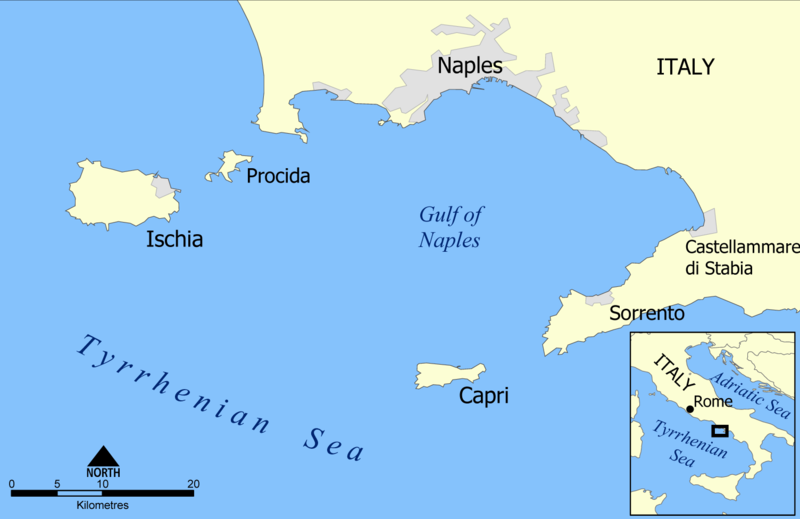 Capri Island-The Bewildering Blue Grotto – Exploring Life..
Capri is an island in the Naples bay, famous for its Grottos. We took a day trip to Capri from Sorrento in Morning and left to Naples at night. The island can be commuted by a ferry which costs about 20 euros one way. 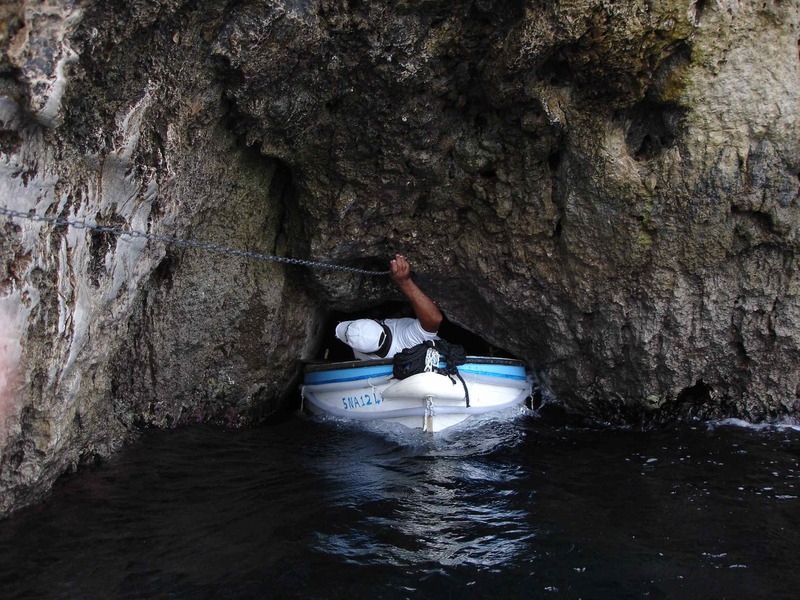 Tip : No matter which tour you take , an additional 13 euros have to be paid to enter the blue grotto by a small boat. The tour involves a waiting time of 45 mins and then you are on a big yacht. The ride is a bit bumpy. We saw the green grotto which was magnificent! Also the emerald grotto which had calcium formations on it. The island was made up of huge boulders which looks amazing. This is an ideal shooting spot for Bollywood songs. After we reach the blue grotto the yacht stopped and we were asked if anyone wanted to return back. Mostly those with kids and those who are sea sick returned back by another boat. The strong hearted stayed back.The waiting time is about 1 hour. There was a line of boats waiting with people. The Blue Grotto is a natural sea cave, 60 meters long and 25 meters wide . The cave mouth is two meters wide but only roughly a meter high, so to enter visitors must board small rowboats which transport a maximum of four passengers. There is a floating ticket counter where you pay 13 euros. Then the rower takes you in his boat to the entrance. The entrance is scary since it is very narrow and you have to duck in. Inside the blue grotto you will see the beautiful azure of the waters- so blue you cannot fathom its beauty.The Rower sings a Neapolitan song that echoes along the walls. Here you see our unedited pics! A little bit of history – Blue waters of Grotta Azzurra seem to glow, but the illumination was considered eerie for centuries after Tiberius. The Blue Grotto, known as Gradola long ago to locals, was abandoned and “feared by local sailors because of legends of spirits and demons which inhabited the cave.” But in 1826, the cave was “rediscovered” by German poet and painter August Kopisch and his friend, painter Ernst Fries. The Blue Grotto became a major tourist attraction and iconic symbol for Capri ever since then. 50% of people puked after coming back to the big yacht from the rowboats. I was giddy until I reached land. It was a strenuous journey but worth the visit after I saw the blue grotto! One downside of travelling during Easter is that you are surrounded by a large crowd and have problems of congestion. You hardly have a ferry to get back home. The last ferry to Naples was at 8:15 Pm according to the website. But when we went to the ticket counter at 5 PM to check about ferry they said that the last one to Naples is at 5:10 PM as the other ferries were fully booked. We were lucky we got a ferry back home. Those unaware would have to stay in the island and return the next day! It is a touristy island so all items are overpriced! You can enjoy the limoncello, Lemon Gelatos which are famous there. There is also the fresh costly seafood. The island Anacapri is on the other side of the port. You can go there by a Funicular which costs 5 euros. There is also the cable car ride which is very famous where you can have a bird’s eye view of the island. We were very much focused on the blue grotto and the island tour so we were contented with what we did.The day trip costed us 71 Euros in total excluding food. Pingback: Things no one tells about Amalfi Coast – Exploring Life.. The blueness of the water is so mesmerizing!